Vimeo is a great site that has a huge collection of songs from different categories and genre. No matter whether you are in search of some party hip hop music, holiday songs, summer songs or any other, Vimeo will not let you disappoint. The good quality Vimeo HD songs will always keep you entertained. Though Vimeo video songs can be enjoyed online, downloading them gives you the freedom to access even when there is no internet connection. To know more about the top list of HD songs and best ways to download them, read below. Holiday is the time to have fun and enjoy with your near and dear ones. There are several occasions like Christmas, Mother’s day, Father’s day and many more when you can stay around your loved ones and have a gala time. To make this time more special there are various songs especially dedicated to these occasions and Vimeo has good quality HD songs that you can enjoy during the holiday season. Listed below are top 10 HD holiday songs on Vimeo. Description: The song was released in the year 1984 on Epic Records. Sung by the popular English pop Duo Wham, the song is originally written and produced by George Michael. After it original release, the song has been sung and covered by an array of artists. As of January 2017, Last Christmas has sold more than 2 million copies and is also the biggest selling single in the chart history of UK. Description: As per Guinness World Records, White Christmas is the best-selling single song of all time with an estimated sales of more than 100 million copies worldwide. Sung by Bing Crosby, the song was released in the year 1942 and reminisce the old fashioned Christmas settings. The song has grabbed various awards including Grammy Hall of Fame, and Academy Award for Best Original Song. Description: Sung by Burl Ives, A Holly Jolly Christmas is a popular song that is written by Johnny Marks and is one of most covered tunes of Christmas. The songs have grabbed the position of being one of the top 25 most performed holiday songs that have been written by ASCAP members. Description: Bruce Springsteen’s 6th studio album Nebraska was released by Columbia Records on 30th September 1982 and My Father’s House was one of its popular songs. The song talks about overcoming difficulties in the relationship and embracing them. Description: Sung by Harry Chapin, Cats in the Cradle is a popular song from the album Verities & Balderdash that was released in the year 1974. The song talks about the relationship between a father and a son who are not able to spend time together. The song was on the top on the Billboard Hot 100 list of December 1974. Description: Daddy lessons is a popular song by American singer Beyonce. The song talks about Beyonce’s fondest memories of her being a Daddy's girl. The writer talks about how inseparable Beyonce and her father were and they would bike everyday on the bayou. Other incidents between the daughter and father relationship have been talked about in the song. Description: Sung by Drake, Look What You’ve Done is a popular song from the album Take Care released in the year 2011. In the song, Drake discloses the hardships that he went through with his family and mother and then thanks them for what he has achieved and become. The song sweetly ends with a voicemail from his grandmother. Description: This popular song features Justin Timberlake, Patricia Clarkson, and Susan Sarandon. The song was released in the year 2011 and was the part of the album Turtleneck & Chain. The song was also nominated for the “Best Original Music and Lyrics” in 2009 Emmy awards. Description: Oh Mother is a popular Mother’s day song recorded by Christina Aguilera for her 5th studio album Back to Basics and was released on 23rd November 2007. Christina addresses her own abusive childhood through the song and thanks her mother for leaving her father. The song uses multiple instruments including strings and keyboards. Description: Written by Johnny Marks, Rockin' Around the Christmas Tree is a popular Christmas song recorded by Brenda Lee in the year 1958. Brenda was only 13 years old when she recorded the song. The original version of the song has sold more than 25 million copies by its 50th anniversary in the year 2008. The song also featured in holiday film Home Alone. iMusic is the top-rated software for Vimeo song download. With its power packed features, the program takes complete care of all your music download needs. The software is compatible working with Windows and Mac system and allows downloading, recording, managing, sharing, and transferring music. 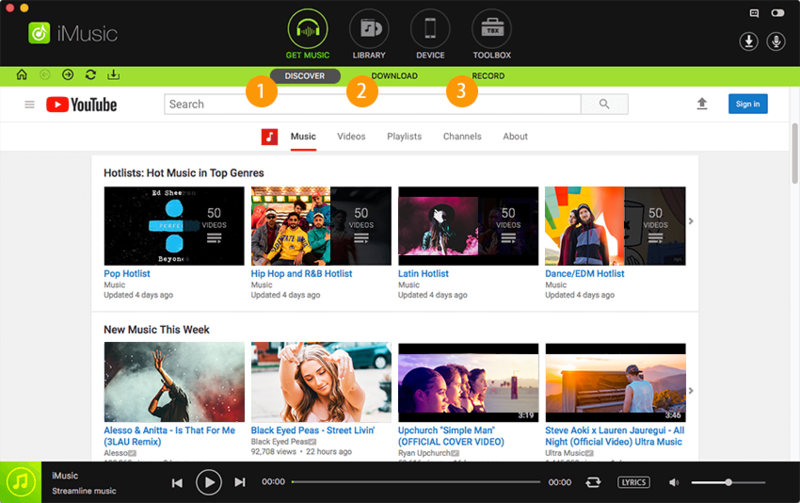 Music downloads from more than 10,000 sites is supported by the program. Streaming Audio Recorder is professional software from Apowersoft that comes loaded with an array of features to enrich your overall music experience and facilitates Vimeo song download. The software allows recording the audio from multiple video sites, music sites, radio stations, and other sources. 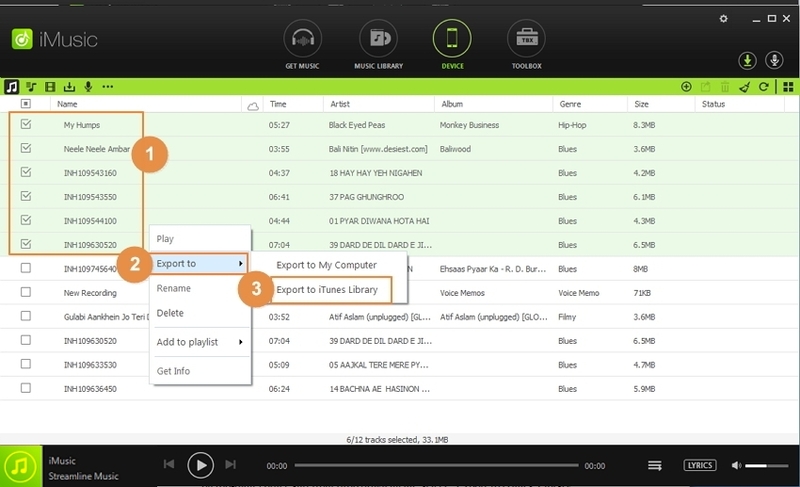 All popular output formats like AAC, FLAC, MP3, and WMA are supported by the software. 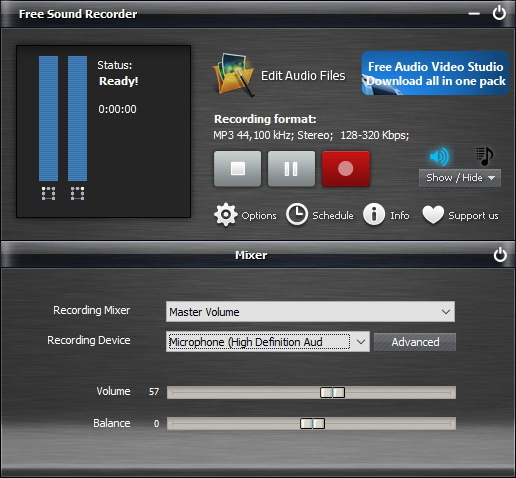 Facilitates recording high-quality audio from multiple sources including popular video sites. 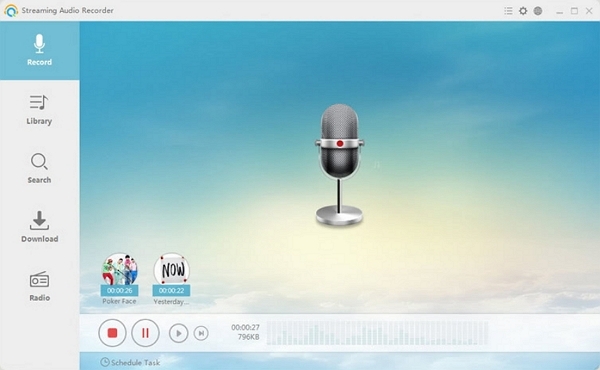 Streaming Audio Recorder from Wondershare is popular software that allows recording audio from any source. Available for Windows as well as Mac system, the software facilitates automatic recording as long as the audio file is played on your PC. It allows downloading Vimeo songs HD quality. This is another free to use sound recorder that recording any sound that you hear. The software facilitates lossless recording and supports multiple audio sources including mic, stereo, online streaming, line-in, audio player, media players, and many others. 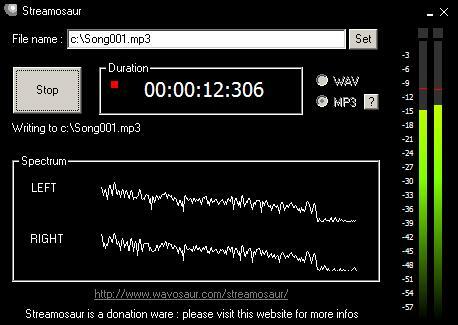 Streamosaur is Windows based software that allows recording audio streams from multiple sources. This simple to use program does not offer any advanced features but takes care of your audio recording needs. The software is free to use and does not need any installation as well. iTube Studio is professional video downloader that also works as a smart video to MP3 converter. 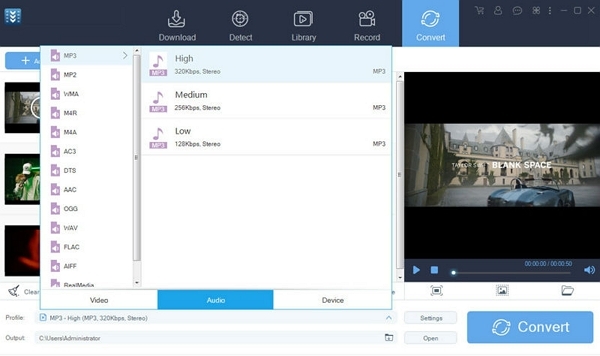 Thus using this program from Wondershare, Vimeo HD video songs can be easily downloaded in audio format. The software works at a very fast speed and results in lossless quality files. More than 10,000 sites including Vimeo, Facebook, Hulu, Dailymotion, AOL, and others are supported by iTube Studio. 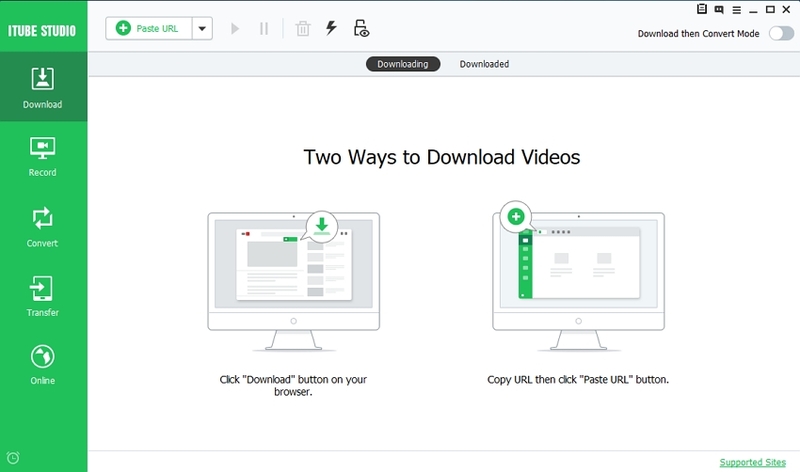 Video Keeper from ACETHINKER is another decent video downloader that also allows converting downloaded videos to an array of formats. More than 100 sites are supported by the software including names like Vimeo, YouTube, Dailymotion, VVEO, and others. 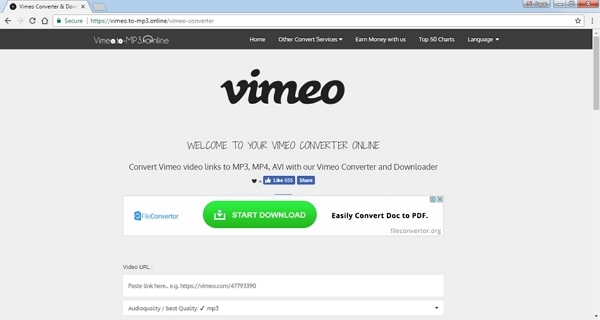 Once Vimeo videos are downloaded using the program, you can easily convert it to MP3, and other formats. 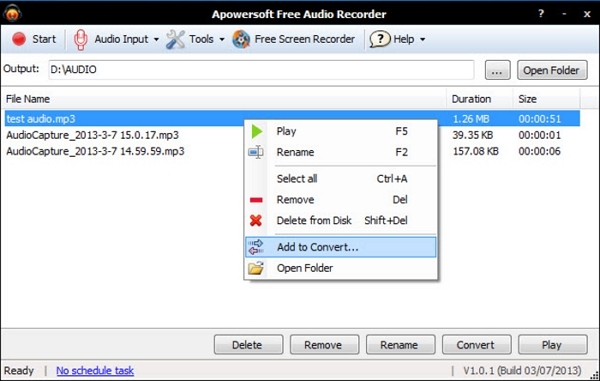 Free Audio Recorder from Apowersoft is an effective program for recording PC sound in an array of formats like MP3, WMA, OGG, WAV, and others. 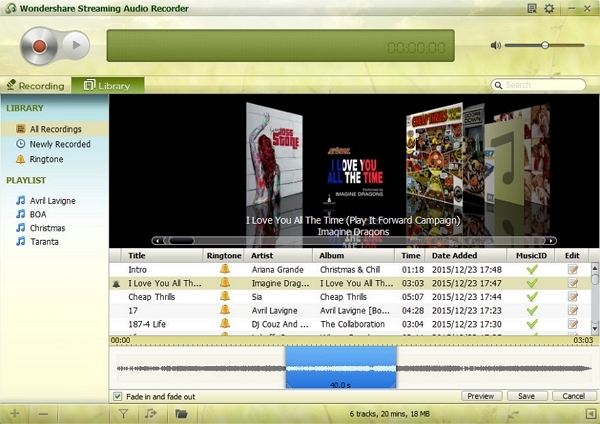 In addition to online sites, the software also supports recording from internet radio stations, songs played over the microphone, chats, and others. 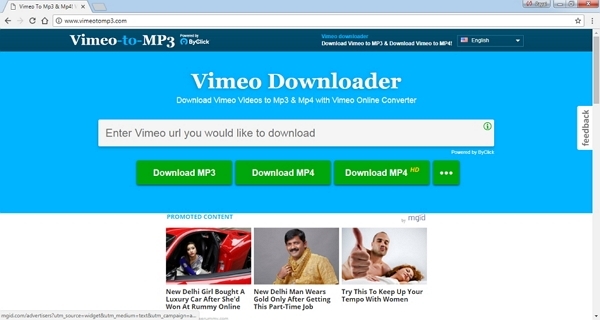 Vimeotomp3 is an online program that allows downloading Vimeo HD video songs. While using the software, you have to simply enter the Vimeo video URL and select MP3 as the download option. The selected video will be successfully downloaded in MP3 format. This is another online program that facilitates converting Vimeo video links to MP3, AVI, AAC, OGG, and other formats. 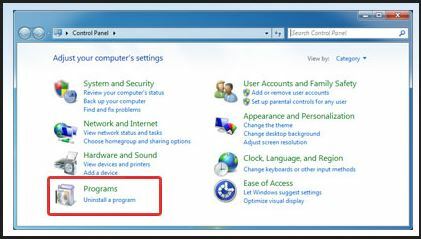 The program support additional settings where audio quality can be selected. 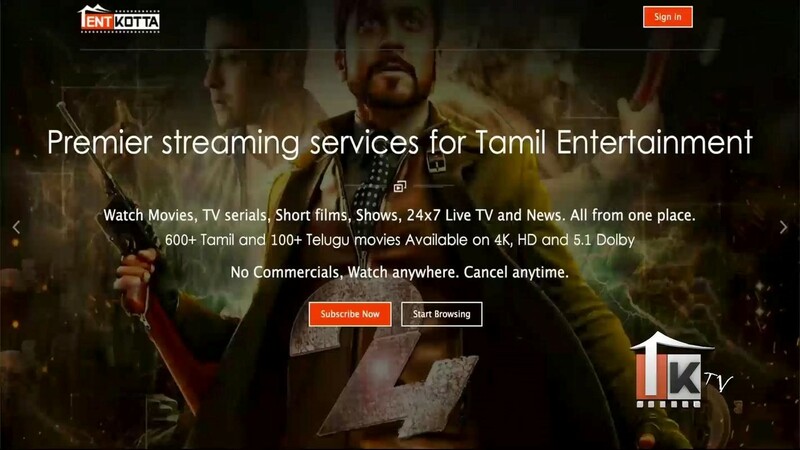 There is also an option where you can select the duration of the video for which conversion is needed. With a simple interface, the program is free to use. Thus considering the software’s listed above, it can be concluded that iMusic and iTube Studio are the best in its category. Both of them offer all needed features and assure good quality Vimeo songs download.